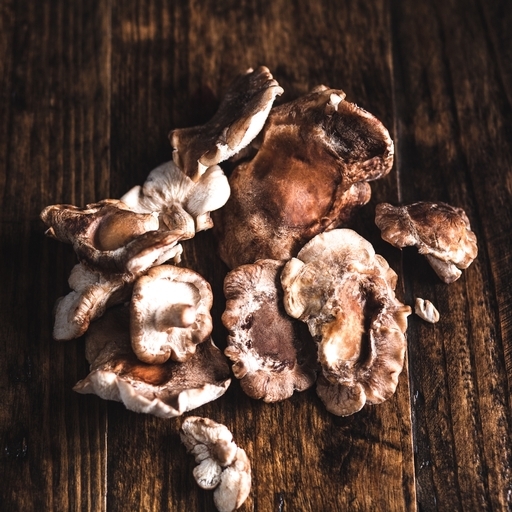 Add distinctive, earthy, autumnal depth to your cooking with our organic shiitake mushrooms. Their flavour makes a good pairing with the richness of venison or beef, and their meaty, velvety texture brings bite to stir fries and casseroles alike. It can be hard to find organic shiitake mushrooms, so look no further – we deliver these straight to your door. Shiitake mushrooms are a great way of giving backbone to a vegetarian stir-fry. Combine with broccoli and tofu, then season with ginger, chilli, hoisin and sesame oil. If you’ve got them, throw in a handful of cashew nuts or noodles for good measure.